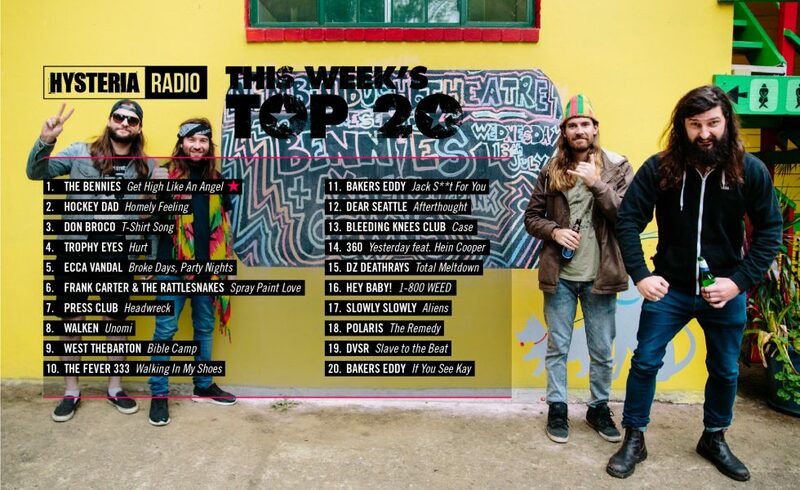 The Bennies aren’t getting high, they’re permanently high (like an angel), #1 for the second week in a row! Hockey Dad are in at the death for the top spot, though Don Broco’s T-Shirt Song has jumped an unbelievable 16 spots to land at #3 – a new record!. Could Walken be a contender for next week? Let’s find out! P.S. – Got a track you want to see here? Vote for it by emailing us below! Tell us your fave from our Top 20, by voting here!